According to an FBI report, home invasions are more common than other crimes in the US. A home intrusion takes place every 13 seconds in the country. Shockingly, new homeowners are more vulnerable to get mugged and invaded. Criminals take advantage of the ignorance of the new homeowners about the new place and area. 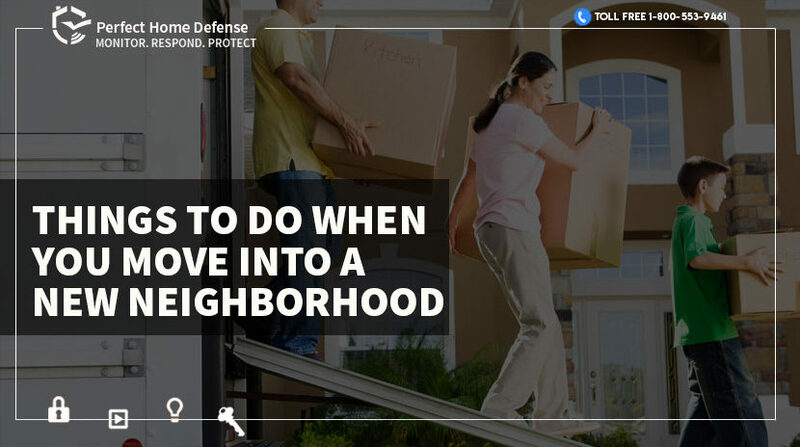 Here is how you can ensure your safety at your new home and neighborhood. The simplest way to keep an eye on your surroundings is to visit the new area. This will help you increase your awareness. Notice every building and people around you. Keep tabs on the vehicles and the new community you are in. It is always better to say hello first to the people around you. Know them and try to engage in small talk while on your way home. However, don’t invite them right away as a safety measure. You need to cultivate a nice, long-lasting relationship with them. For this, go slow. Once you know them well, you may plan a party in your new area. Nothing works better than the mobile video security cameras for surveillance. Don’t delay this. Make sure to mount outdoor and indoor security cameras in and around the building as soon as you move into your new house. It is one of the most important steps to shoo the bad guys. Go for HD video surveillance cameras that are more responsive and reliable. Criminals apply different ways to break into a house and if you don’t keep your windows closed, the chances are higher. So, make sure to get glass break sensors to protect your open windows. The glass break sensors are small wireless home defense devices that can help detect a glass shattering activity. It is a smart device that only detects the glass shattering/breakage activity of your window glass. It does not trigger false alarms on any glass breakage that happens in the kitchen. Built on high technology, the device is tested and tried. This is a good security measure and can help protect you against a burglary. Homeowners ask whether protecting the exterior of the house is enough. And the answer is no. You have to protect your valuables and your family members in your house. For this, you can install motion detectors and image sensors. Latest motion sensors are pet immune which means no false alarms anymore. The motion detectors sound the alarm in case, they detect any suspicious movement inside the house. 9 out of 10 criminals bypass the houses that are armed with monitoring systems, according to an FBI report. So this is a sure way to protect your new abode and scare away the burglars. Get the best home security system in your area. A good home automation alarm system offers 24-hour monitoring and quick support. Remember, building or moving into a new house is a difficult thing and protecting it from all harms is more difficult. Use the best alarm system to prevent all the risks and stay safe.